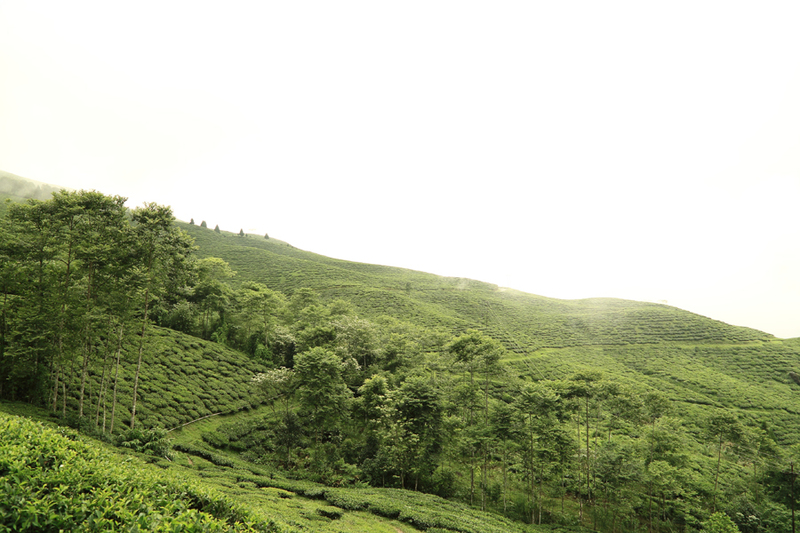 Rungmook tea estate and Cedar tea estate, planted in the mid 1800s, were merged about a 100 years hence into a plentiful expanse of striking beauty that continues to produce delightful teas. At an advantageous height of about 5500ft, the lush tea bushes thrive in the warmth of the cheerful sun, as it makes its way through the rolling mist. A large area of the garden is forested and supports a diversity of vegetation creating a healthy and balanced microcosm. Rungmook-Cedar has one of the first hydroelectricity projects in the Darjeeling region and these units supply electricity to meet the requirements of the tea factory during the growing season. Rungmook-Cedar teas,benefiting from the suitable weather and geographical conditions, are commended for the bouquet-of-wild-flowers flavour laced with the welcome briskness.